What’s the meaning of vacation? For most of us, vacation means family time away from the hustle and bustle of daily life. Or something like that. When I was growing up, vacations didn’t mean resorts, cruises or exotic destinations. Most often, we went camping — spending long hours chatting at the camp fire, playing card games at the picnic table and running through wide open spaces. My brothers and I would swing, higher and higher… in our minds setting world records. We climbed trees. Carefree. Magical. All within an hour of home! Today, our family travels a bit further — sometimes quite a bit. But, we still try to spend wisely and watch the budget. Whether traveling down the road or across the country, these money-savers can help you enjoy that precious family time without breaking the bank. 1. Vacation closer to home. One tank trips, those vacations within a 4-hour drive of home, are a great way to save money, especially on gas costs! Look within four hours of home. What’s there? Relax. Explore. Enjoy! In recent years, hotel discounter sites (hotels.com, expedia, etc) have become popular, but they don’t always signal big savings like when they were first introduced. 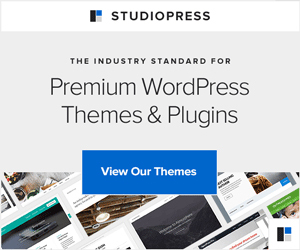 We used a discount hotel booking site recently (truthfully, as an experiment for my readers). The initial price was cheaper than the hotel rates, but by the time all the extra fees were added on, that room cost more than it would have if booked directly through the hotel. Not only that, but the rooms that particular hotel reserves for those who book on discount sites are in a high traffic location, across the hall from the gym and business center, next to the elevator on the first floor. The hotel uses these least preferred rooms for the discounters and saves preferred locations for brand-loyal guests. Instead of booking through an online discounter, call the hotel and ask for the manager. That’s key! Then, kindly let the manager know you found a lower price online and request that the hotel meet that price. So far, I have never been denied that discount. This summer, we will stay in a 3 bedroom house instead of a hotel at a popular vacation destination with loads of hotel options. For $100 per night, we will get lots of space, a full kitchen, two bathrooms and a private back yard. Not bad! While renting a house in exclusive areas is often more expensive than a hotel — due to supply and demand economics — home rentals in hotel dense areas often mean money savings! How’s that for a budget tip? OpenTable is a real-time restaurant reservation network that gives diners… a live Internet connection into the same computerized reservation books used by thousands of the country’s best restaurants. Restaurant reservations can be made 24 hours a day, with no waiting on hold or for restaurant business hours, and diners earn valuable OpenTable Dining Rewards for making reservations online. OpenTable Dining Rewards is a frequent-diner program that awards OpenTable points each time you honor a reservation made from www.OpenTable.com. When you earn enough OpenTable points, you can redeem the OpenTable points for an OpenTable Dining Cheque, good at all OpenTable member restaurants. Using Open Table, I can explore restaurants before arriving at my destination. Diner reviews and links to menus allow me to find the perfect spot for our family. When booking through Open Table, I am rewarded with points. At 2000 points, I can redeem a $20 dining cheque (a gift certificate) to use at ANY Open Table restaurant. The program is active in the United States, Canada, Germany and the UK. It took most of those 23 years to learn that tourist driven gift shops offer seriously over-priced, poor quality goods designed to tug at my emotions. These days, I bring home meaningful souvenirs — locally hand-crafted items or things I make myself. I’m from Ohio — and one July 4th the temperature didn’t reach 60 degrees. We didn’t pack sweatshirts or jackets. Freezing at Cedar Point, with those brisk winds blowing in from Lake Erie, we spent a small fortune on tacky sweatshirts to keep everyone warm. I really wanted funnel cake. Going to Florida? It’s going to rain in the sunshine state!!! I promise. Buy $1 ponchos from your local discount box store and pack them away in your luggage. They take no space, but you’re prepared for the weather without spending $10 for the same thing at theme parks. Vacation closer to home. Ask hotels to price match what discounters offer online or rent a house for vacation. Use Open Table to book dinner reservations and earn points toward future savings. Avoid tourist trap gift shops. Plan for the weather! 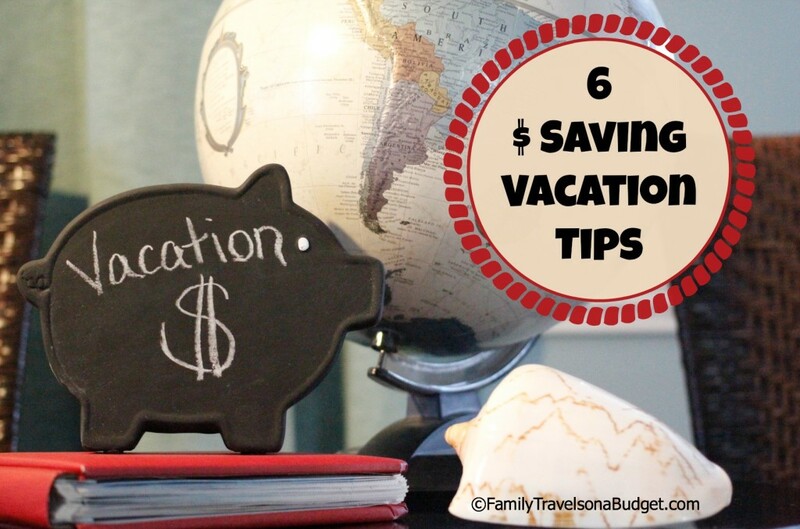 Using these 6 money saving vacation tips, you can stretch your hard-earned dollar and still have a great family vacation! Thanks for sharing such great tips. I love purchasing items from local artists. Instead of buying an expensive print, I usually go for the greeting cards that have the same artwork and then frame them when I get home. It leaves me more wall space and still reflects the amazing talent from around the world. Thanks, Andi! I’m so glad you appreciate them. Entertainment Book is a GREAT tip! It’s a great tool for vacationers headed to cities across the country. Order at least a few weeks before travel to save throughout vacation, especially if interested in local activities like bowling and shopping! I have not tried Open Table but it sounds like a really good website to try! most of the time, we book home instead of a hotel, since we can cook our own food. We booked our first apartment vacation in Paris, France. It made the trip that much more special. One of the highlights for me was going to the neighborhood shops to get our dinner supplies and eat at home. We went to the market for fresh fruit, too — and flowers of course! Loved every minute of that trip! Most of my childhood vacations involved camping at a park close to home. My kids have definitely seen more of the world than I did as a child. Vacations to visit family in NC aren’t all that bad. I love it here! Very nice set of ideas and tips and I agree with few of the suggestions like booking for a home instead of hotel because first I think it will be cheaper second is you can have access like of your home and more privacy. Thanks! An added bonus is I wash the laundry before going home. It’s nice to come home with clean clothes. Savannah, that’s an excellent tip! We do the same and add peanut butter to keep the protein craving teen full for an hour or two.